You’ve heard the song “All I want for Christmas is my two front teeth”, but at GPS Dental, we have another take on it. “All I want for Christmas is to lose my back teeth.” We’re talking about your wisdom teeth. Christmas break is a great time to schedule wisdom teeth extractions for your student! Here are three great reasons why. Kids usually have several weeks of downtime and it’s also a great way to use up any leftover dental insurance benefits before they expire, especially since most plans are set up on a “use ‘em or lose ‘em” basis. Why wait till summer and let those benefits go to waste? Someone may need a crown or braces next year. Be smart and get the most out of your benefits. Most kids are off for at least two weeks during the holiday break. This means it’s a great time to be able to sit back and recover from having the wisdom teeth removed. Whether they are having one, two, or all four removed, you won’t have to worry about them missing any school. This means they won’t get behind on any of their assignments, either. Many people wait until the summer to schedule wisdom teeth removal. The biggest problem with this is that it often interferes with summer vacations. It can take a little bit of time to recuperate and there’s nothing worse than not being able to enjoy yourself at the beach or anywhere else you go during the summer. 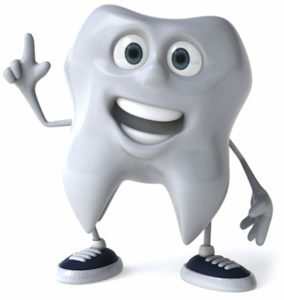 If your child has wisdom teeth that need to come out, contact us online or call us at one of our two office locations. Our south office is (913) 647-8700 and our north office is (913) 341-2380.